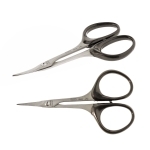 These hobby scissors make working on delicate craft projects a pleasure. 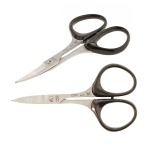 The stainless steel blades make and plastic handle are comfortable to use, and have a combined length of 10,5cm. 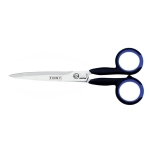 These curved tip makes it easy to cut individual loops of thread and other delicate tasks. 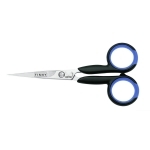 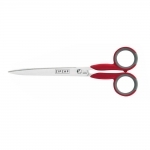 The curved design makes using the scissors ergonomic and comfortable. 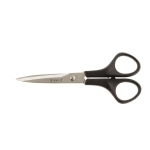 Aswell as nail scissors. 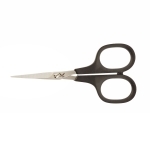 These embroidery scissors from Kertzer feature a sharp point designed for precise work. 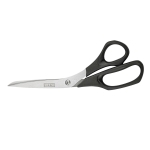 The quality durasteel and sharp edges provide exact cuts every time. 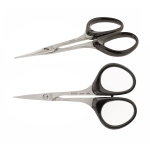 The rubber grip is comfortable and provides a safe, secure grip.